Tommy Kortman is a busy guy. Along with his full-time occupation, he's in no less than three model car clubs!. No wonder he hasn't had time to wash this shop truck. Seriously, Tommy's a member of the Philadelphia Area Car Modelers, the Jersey Shore Model Car Club and, of course, MAMA. 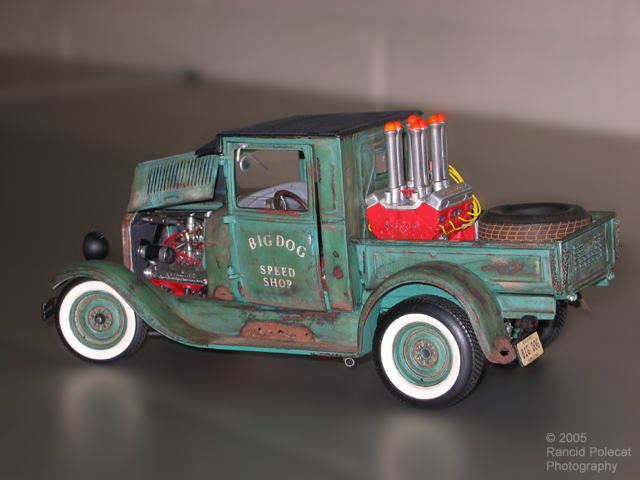 At a recent meeting, this little Revvell 1929 Ford Rat Rod pickup made a lot of us stand up and take notice.